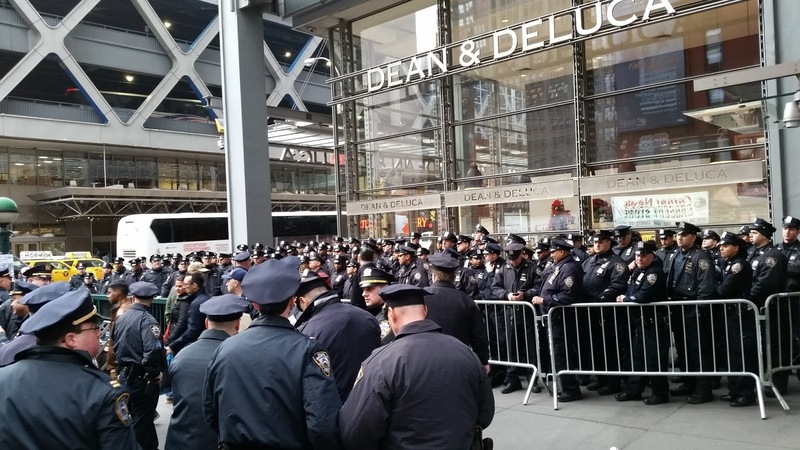 What does it take to ensure a safe New Year’s Eve celebration in Times Square? A lot of people in uniform, apparently. These NYPD officers started mustering around 2 p.m. on 40th Street while I was eating lunch with a friend. And I’m sure they’re just a sample of the force that will be patrolling as the clock approaches midnight.